In an article for The Nation, Nathan reports on the start of the Freedom Plaza occupation last week and its significance in light of Occupy Wall Street. As part of a discussion for the New York Times opinion page, Nathan calls attention to the power of sustained occupation, the danger of disorganized civil disobedience tactics, and the threat of co-optation. Writing for Harper’s, Nathan explains the origins of the General Assembly. Nathan wrote what has become the definitive Occupy Wall Stret FAQ for The Nation. Ezra Klein of the Washington Post called it “the single best place to start.” It was also republished in the occupation’s own Occupied Wall Street Journal. After The New York Times published a rather insightful and negative piece, Nathan wrote a letter to the editor, defending OWS from the dismissive attack. Nathan has been quoted by the New York Observer, The Week, MSNBC, Slate and others. As for television, Nathan has been on New York 1 and Al Jazeera (unfortunately, no video for the former has surfaced yet online). 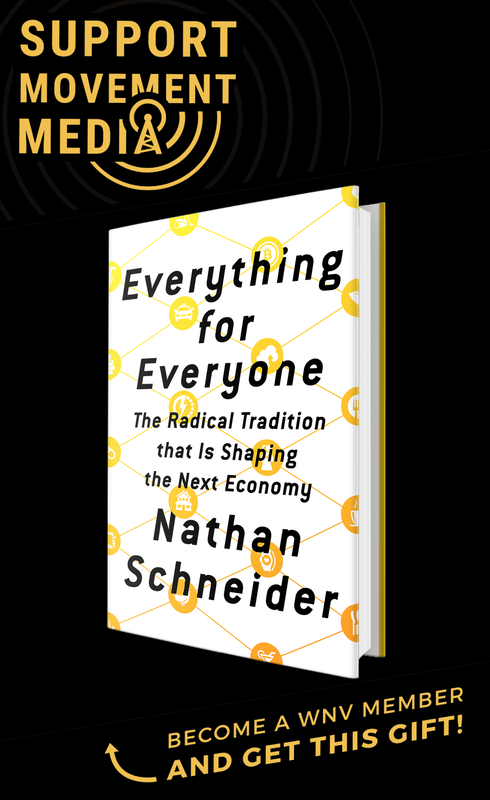 Nathan’s been on countless radio shows, the biggest being NPR News, CBC’s The Current and WNYC’s Brian Lehrer Show. 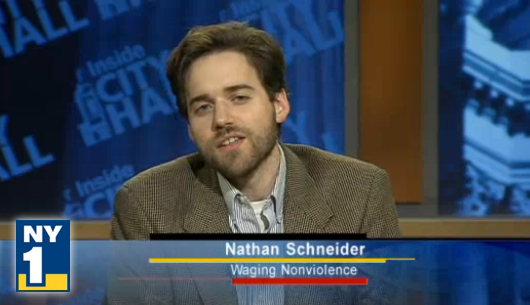 Good, Keeping track of WNV editor Nathan Schneider’s media blitz / Waging Nonviolence – People-Powered News and Analysis.